Once one of the most popular TV makers in the World, Panasonic has apparently become the latest Japan-based TV maker to pull out of the U.S. TV market, doing so very quietly during the early months of 2016. Panasonic TVs are no longer featured on their U.S. website and they are no longer listed as part of Best Buy's inventory after once being their primary sales outlet in past years. However, despite their apparent pull-out, you may still find some remaining, or used, 2015 and 2016 Panasonic TV models for purchase through Amazon.com and some brick-and-mortar retailers as long as they are available. With Panasonic's apparent departure from the U.S. TV market, this means that Sony is the only major Japan-based TV maker left marketing TVs in the U.S. The current major players, such as LG and Samsung are Korea-based, Vizio is U.S. based (but manufactures overseas), and the rest (TCL, Hisense, Haier) are China-based. 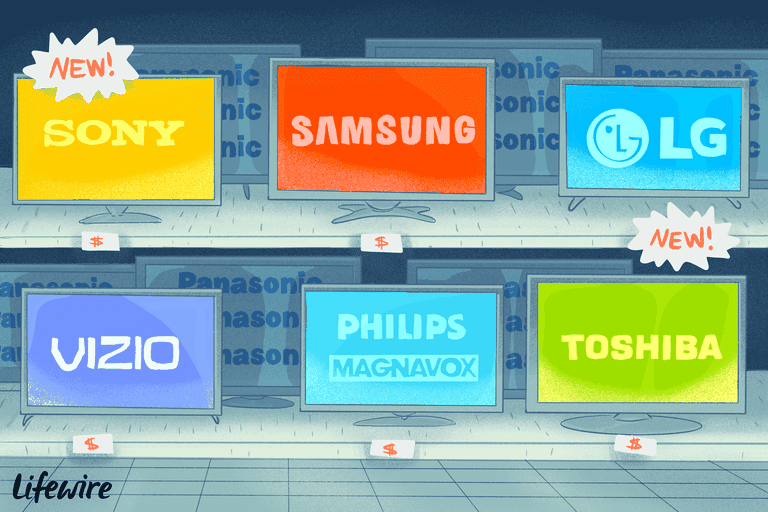 Other familiar TV brand names are now owned (or licensed) and made by China or Taiwan-based TV makers, such as JVC (Amtran), Philips/Magnavox (Funai), RCA (TCL), Sharp (Hisense), and Toshiba (Compal). Things started going downhill for Panasonic's TV division when Plasma TV sales began to plummet as improvements in LCD TV technology, such as lower power consumption, LED Backlighting, fast screen refresh rates, and motion processing, as well as the introduction of 4K Ultra HD, resulted in an LCD TV sales explosion. Since Plasma was Panasonic's claim to fame and main focus in their TV marketing strategy, these developments did not bode well for their continuing sales outlook. As a result, Panasonic finally ended Plasma TV production in 2014. Also, although LG and Samsung also featured Plasma TVs in their product lines as recently as 2014 (Samsung and LG both ended production in late 2014), they did not emphasize Plasma over LCD, so the impact resulting in the demise of Plasma TV tech did not have as big a financial impact. In addition, with increased competition from LG, Samsung, and the aggressive entry of China-based TV makers, Panasonic was getting boxed into a corner as consumers failed to warm to Panasonic's own LCD TV product lines, even though the sets were definitely deserving of consideration. However, despite obstacles, Panasonic continued to make efforts to stay in the market, and as recently as late 2015, and early 2016, not only displayed and delivered both budget-priced 4K Ultra HD LCD TVs but also indicated pending arrival of their own OLED TV product line. If realized, this move would have made Panasonic one of the only TV makers, along with LG and Sony, to market OLED TVs in the U.S. Unfortunately, Panasonic not only reversed course on OLED but LED/LCD as well. As a result, Panasonic TVs (including OLED) are only available in select markets outside the U.S.
Also, Panasonic is not offering up TVs for U.S. consumers, they still have a solid presence in several key product categories, such as Ultra HD Blu-ray Disc players, headphones, compact audio systems, and has resurrected their high-end Technics audio brand. Panasonic is also a strong competitor in the digital imaging (cameras/camcorders), small kitchen appliance, and personal care product categories. Panasonic still maintains its strong presence in the Business-to-Business and Industrial markets. Despite all of Panasonic's misfortunes, there may be a silver lining for Panasonic brand fans and U.S. consumers. According to TWICE (This Week In Consumer Electronics), it is possible that Panasonic could re-enter the U.S. TV market. A lot will probably depend on whether its 4K Ultra HD and OLED TVs sell well in Canada. However, if past and current trends are any indications, having left, it may be very difficult for Panasonic to regain a foothold in the U.S. market as competition from U.S. based Vizio, Korea, and China-based TV makers become more intense. If you are a real Panasonic fan, and you live in a northern U.S. border State, you might be able to go to Canada and purchase one. However, once you cross the border with your TV, Panasonic's Canadian warranties are not valid in the U.S. It is also important to note that Panasonic's Canada eStore will not ship to U.S. addresses.